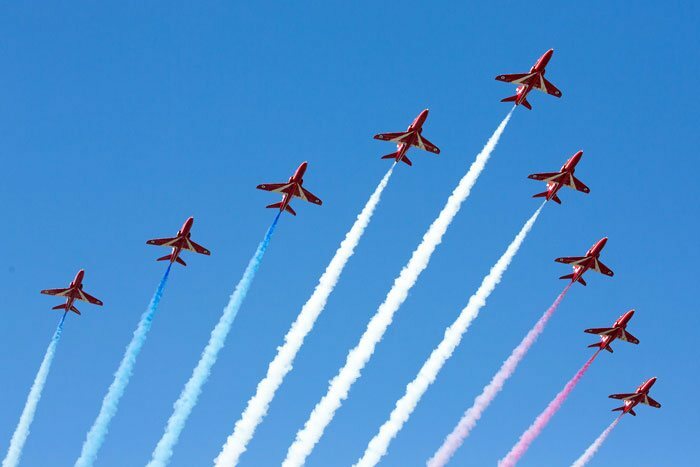 Channel 5 has commissioned ITV Studios-owned production label Shiver for a six-part doc series on aerobatic squadron the Red Arrows. The channel has ordered a 6 x 60-minute series entitled The Red Arrows: Kings Of The Sky, which is to air on 9 January at 9pm. The Red Arrows are the world’s most renowned aerobatic display team, famous for precision flying and synchronised manoeuvres. Across the series, Channel 5 tells the story of the squadron as it creates a new display and embarks on a challenging season. The series also showcases the work of the ground crews, engineers and back room teams who help to coordinate shows. The Red Arrows: Kings of the Sky is produced and directed for Shiver by Jamie Simpson. The series is the third military programme recently commissioned by Channel 5, following the success of Warship: Life at Sea and Raw Recruits: Squaddies at 16.